Next week sees the 4th running of the Narrabeen All-Nighter up on the Northern Beaches of Sydney. This is a 1.5km out and back 12 hour and 100km race run entirely on the footpath around the lake. When I first had a crack at this race in its inaugural year I wore a pair of Brooks Trance 8’s which held my feet together nicely. I remembered at the time how many runners were in Brooks compared to other brands. This thought returned again this week as I was doing a little bit of road running just to keep the legs turning over during Christmas and I was joined by my sisters partner Drew from Brisbane for a speedy 15kms around Sydney Harbour. He was running in a pair of ASICS Kayano 17’s and they looked trashed ! I asked him how old they were and he said they had about 600kms on the clock form pounding the footpaths of Brisbane. 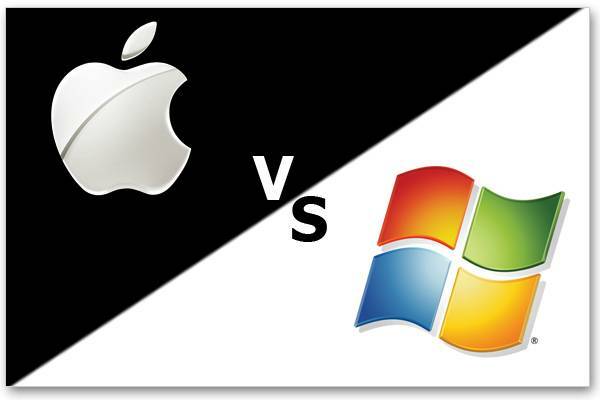 In Australia seems like one of the age old questions, which is better, Coke or Pepsi, Mac or PC, Brooks or Asics… The answer in the case is they are like chalk and cheese and not to be compared as though they are on a level playing field. Across the board most models in the Brooks and Asics stables perform and fit quite differently than their direct competitors, a fact that I have been made well aware of over the last few years. In this case the obvious differences between the Kayano 18 and Trance 11 could not be more obvious. So earlier in the week I took Drew in to see Tom at Footpoint Shoe Clinic to compare both shoes on the Traclab in the store. Drew is a heavy pronator and only one of the shoes did anything to control this motion, in fact the other emphasized it. However before we go any further with this and reveal the results I will first get Tom from Footpoint to say a small word about both shoes. 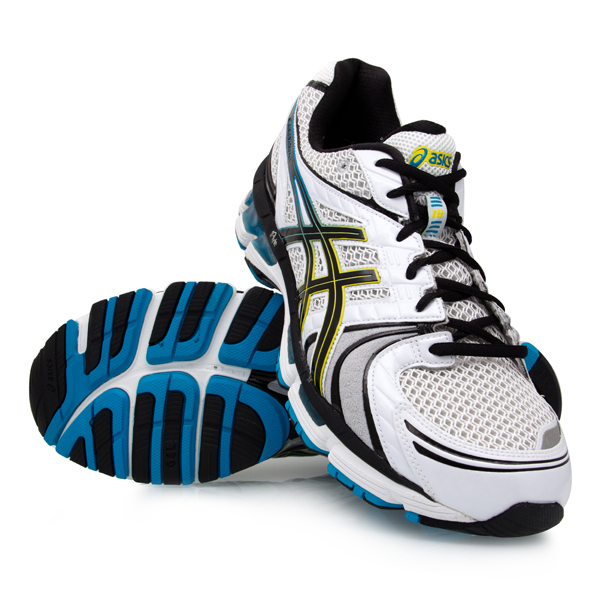 The Kayano 18 is a significant improvement over its predecessor. Making use of their usual technologies such as their excellent EVA midsoles that incorporate the standard gel drop-ins to provide a ride second to none with great shock absorbtion and durability. The 18 also incorporates gender specific trussics, for both male and female models, that provides greater control of motion through compensating for both male and female weight distribution efficiently in the gait cycle. Where it is improved most however is in its weight. They have managed to drop the weight by almost 10% over the previous model without sacrificing support, cushioning or durability. Overall the Kayano 18 is still true to its history but the loyal users of this shoe will notice the improvements from the moment they first try it on. The Trance has gradually returned to the good old days of its previously supportive past. With the Trance 10 last year Brooks reintroduced a shoe that sits above the Adrenaline in their range, unlike the 9 which was more akin to the Neutral shoes in its range. With the Trance 10 and now the Trance 11 the Brooks faithful are able to buy a shoe that offers unparalleled medial support (stops pronators rolling in) with an extremely cushioned ride for those who like longer distance, are lateral striker or the heavier runner. In addition, almost two years ago Brooks introduced DNA gel into their range. DNA is a non-Newtonian fluid, meaning it acts as a liquid whilst not under pressure but firms up significantly while under pressure. This means the shoe can adapt to the areas the runner applies most pressure in, offering a ride that fits your running “DNA”. Sounds like a gimmick I know but I can assure it is not. Corn starch syrup behaves the same way, to see more check out the video below of the mythbusters. Despite both companies and most retailers claiming both shoes are top of the line cushioned support and therefore should perform the same way, only the Brooks Trance offers significant support for pronators while also providing good cushioning. Now this isn’t to say both shoes don’t have a very clear place in the market. However if you are a significant pronator, use orthotics or strike heavily on the lateral side of the foot when running the Brooks Trance is your shoe, while if you are a moderate pronator who likes a cushioned ride you should check out the Kayano 18. While most running guides and product catalogues will say otherwise, a fairer comparison could be made between the mid range Asics 2170 and the Brooks Trance 11 or the mid range Brooks Ravenna and the Asics Kayano 18 in terms of equivalent support. It should also be noted the Brooks Trance only comes in standard or narrow fittings with no wide option, while the Asics Kayano comes in standard fittings and also up to a 4E (extra wide in mens). We would like to thank Tom from Footpoint Shoe Clinic for his expert advice on this post. I tried on the Asics Kayano and the Brooks Trance 11 at the shoe store. I went 3 separate occassions due to that I wasnt sure which pair I wanted. Speaking for myself, I could really feel the difference between the two shoes. At first I loved the Kayano 18, the feel and the look. Then I tried the Brooks and the difference was noticable. I have a knee injury and I found that the brooks supported my knee from not rolling out also the support in the medial of the foot and the big toe was very noticable to me. I found the Kayano 18 didnt give that to me. I have owned two pairs of brooks in the past and my feet really enjoy wearing them.. I do have a pair of asics at this time. I need that extra support that brooks give that asics dont. I would really like the colour of the Kayano 18 blue and white, I wished the brooks had a nice bright shoe like the asics Kayano. Be able to have the look and the support. Hi Mate I used trance7&8 I felt trance 7 beter then trance 8,now I am thinking to get new trance 10or 11, but not sure which 1 shoukd I get? I need shoes with little high arch which I feel more comfotable. Pla suggest which 1 should I order 10 or 11.